We are very proud of the £1 million development of our Key Stage 2 area which was fully completed in December 2015. This development has increased classroom sizes, some up to 10 square metres. Part of the new development was 2 large multi-use rooms, one a fantastic space for messy creativity and the other a fully equipped media room. 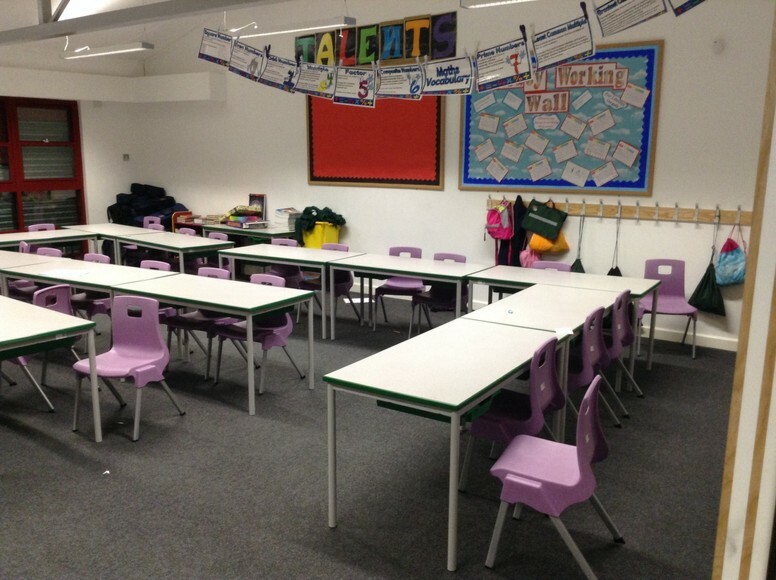 Several spacious, purpose built intervention spaces were also created for the whole school to use. Classrooms at Claycots are bright, spacious and well equipped. All classrooms have interactive whiteboards and computers which can be used by the children and staff. We have a large, vibrant EYFS area which incorporates both indoor and outdoor learning. The completed project now offers the design brief intention of light, space and contemporary facilities for learning with added multi-use areas such as a digital media zone, art and design classroom, designated learning intervention spaces and pupil lounge areas with increased access into the garden quadrangle which is also undergoing a full refurbishment. Plans are underway to further develop this area in an innovative way. We are fortunate to have extensive outdoor space where are children can learn and play. This includes a field, a trim tail, a new multi-use all weather pitch and large, fun gym equipment. We have two hall spaces which can be appropriated for PE, group work, assemblies and speaking and listening exercises. Our teachers are both dedicated and ambitious. We have several Apple Mac computers in our IT suite and two Ipad trolleys with 60 Ipads that can be used to explore learning in any lesson. We have 30 laptops which are also used by children to acquire and improve vital ICT skills. Plans are underway to further develop the outdoor areas in an innovative way. We are fortunate to have extensive outdoor space where are children can learn and play. Over the Easter Break 2017, we will be carrying out an installation of a Specialist 24mm depth Multi Use Games Area Artificial Grass surfacing laid to provide an all-weather surface. This will be an addition to the Multi Use Games area that we had installed over the Summer Break of 2014. 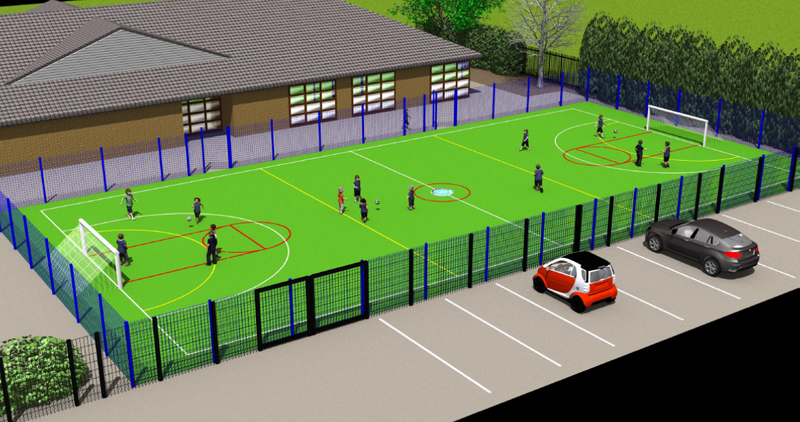 This will provide the school with areas where children can play a variety of sports like football, basketball and netball.